The Big Sea: Part 3 "If There Is No Struggle, There is No progress!" Part 3 "If There Is No Struggle, There is No progress!" This weekend, I thought a lot about my daddy, LJ Stallworth, and his struggles. One of his struggles was working for Alabama Power Struggle for years and keeping notes of who was being hired and who was being promoted. He recounted the fact that when many other Blacks found out that he was planning to sue the company for discrimination, they no longer wanted to be bothered with him, fearing that they may lose their jobs if they were associated with the law suit. If you knew my Daddy, you know that he kept pressing on until he singled handedly sued and won a discrimination suit against Alabama Power Company, and everyone benefited, even those who shunned him. Another one of his struggles is that he had an accident while working for Alabama Power Company and lost one of his eyes. Because of the medication that he was taking, he could no longer drink alcohol. This morning, my mother told me about how he lost many of his friends, because he was no longer a drinker. Imagine that!!! This leads to my struggle. You all know that Berhane, the greatest trainer in the whole wide world, told me that I needed to cut back on the sugars and not drink alcohol for awhile. Just know that when you are trying to make a change in your life, many people will not be comfortable with the change, but like my Daddy, you must keep pressing forward. Your struggle may not be a social drink like mine, your struggle may be to exercise regularly, not eat as many sweets, smoking etc. But whatever it is, you need to recognize and surround yourself with people who support your struggle. I wish my Daddy was still around so I could ask him "Who had his back?" when he needed it the most. Berhane: "Your hips are really trimming down"
Me: "I thought that hips were hereditary and couldn't go away." Berhane: "Have you ever seen a skeleton with hips?" People, this made me holler, and I am laughing out loud right now. "The best thing for your abs is laughing. 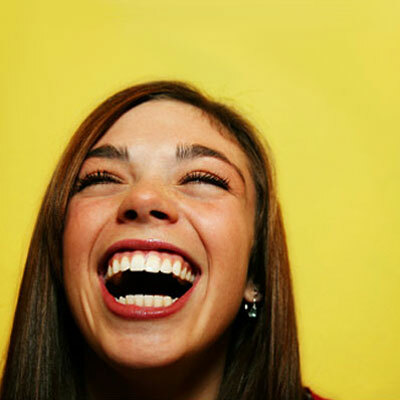 Every time you laugh it strengthens your abs. There are even laughing yoga classes. If you start busting a gust, you are absolutely toning your abs." You may want to consider being around people Who got your back and make you laugh! By the way, Happy 93rd birthday Nelson Mandela. I LOVE THAT MAN!!!! Oh my!!! You have made me cry and laugh all at the same time. This blog really made Examine myself. One of the things I thought about is how the word of God teaches us that a dream comes through much activity!! I also thought about how eagles fly alone!! As for the hips, never had that problem. Lol but glad to know their NOT hereditary!! Lol thanks for the GOOD laugh!! Don't you just love out Daddy, LJ and Jesus, who has taught us so much. This is a great post. The accident Daddy had was inretaliation for the Lawsuit. He could have left on disabilty but he said he was going in so they would have to look at him every day and see what they did. The job they gave him was handing out the tools so they had to come to him to request the tools. God found a way to make them pay and Daddy was a great example of forgiveness. What Sets Your Heart on Fire?